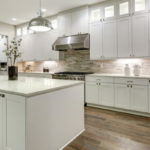 From buying wholesale cabinets and countertops to using track lighting instead of recessed lighting, there are countless ways you can cut your kitchen renovation costs. On average, homeowners report spending around $20,556 on kitchen renovations. No matter if you are planning to spend way more or way less than this figure, here’s how to score the kitchen of your cooking dreams without going broke. You can buy wholesale kitchen cabinets, or you can pay way more for retail price kitchen cabinets. Seems like a no brainer to us! All cabinets start off at wholesale price and then retailers purchase them to resell at marked up prices. You don’t have to pay a premium to get high quality materials and beautiful kitchen cabinets. Cut out the middle man and purchase wholesale cabinets and countertops you can actually afford! 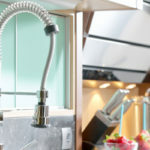 Moving the kitchen sink or oven might sound like a swell idea in theory, but it’ll end up costing you more money right off the bat. In order to move major appliances you’ll need to hire an electrician or plumber to rewire or re-plumb appliances. If you start knocking down walls you’re going to need a structural engineer, and perhaps a plumber and electrician too (depending on what wall you knock down). Unless you have a lot of room in your budget, we recommend looking for other more economical ways to make your kitchen more user-friendly before going to these extremes. For instance, if you want to open up your kitchen to another room in your house, opt for a wall cut out instead of knocking down the entire wall. A kitchen island is an incredibly popular feature in today’s modern kitchen, but they don’t come cheap. No need to worry if your kitchen budget doesn’t have the wiggle room to install a full island, which requires more countertop materials and cabinets. Consider investing in a piece of furniture that can substitute as an island. Large pieces of furniture that offer room to cook, prep and seat guests aren’t necessarily cheap, albeit you can find great deals at second hand shops, garage sales, etc. With a little sanding and paint you can make a worn down piece look like new in no time. When looking for furniture that substitutes an island, aim for pieces that measure at least 36-inches tall. Recessed lighting is a big project that often comes with an unexpected expense. First, holes must be cut into the ceiling and electrical wiring has to be added; there are often hidden costs associated with fixing the ceiling. One recessed light can cost anywhere from $100 to $150, that includes the cost of materials and an electrician. Since track lighting isn’t installed individually like recessed lighting, it’s far more cost effective to install. Plus, there are a lot of options for shapes, sizes and finishes. They give off ample light and can be placed on a dimmer to give off ambient lighting. 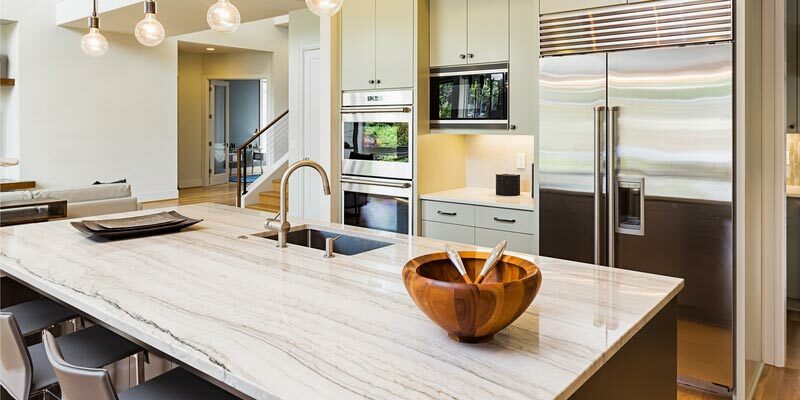 If your kitchen remodeling budget isn’t big enough to go all out tomorrow but there are many changes on your to-do list, consider completing your kitchen remodel in manageable stages. It’ll take longer but if that means you get a better end result, it’s totally worth it. 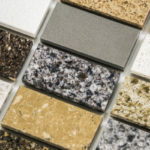 Consider installing your countertops and cabinets now and then adding other elements in the future. At any point you can add a new backsplash, paint the walls, add wallpaper, or change out hardware. The only way to stick to a budget is to create one in the first place. Start by sitting down and making a list of everything you need/want to do to your kitchen. Do you want to add new countertops, switch out cabinetry or change out lighting fixtures? Write it all down and then start researching and getting quotes so that you can fill in a price beside each item on your list. When everything is said and done, what is your total? Is it above or below your original budget? Don’t forget to factor in at least 10-15% extra for unexpected costs. 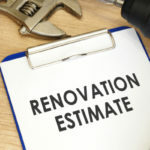 If you are way above budget it’s time to go back to your original list and start making adjustments so that your renovations are affordable. Don’t forget how much money you can save buying wholesale kitchen cabinets and countertops from Tops Kitchen Cabinet!